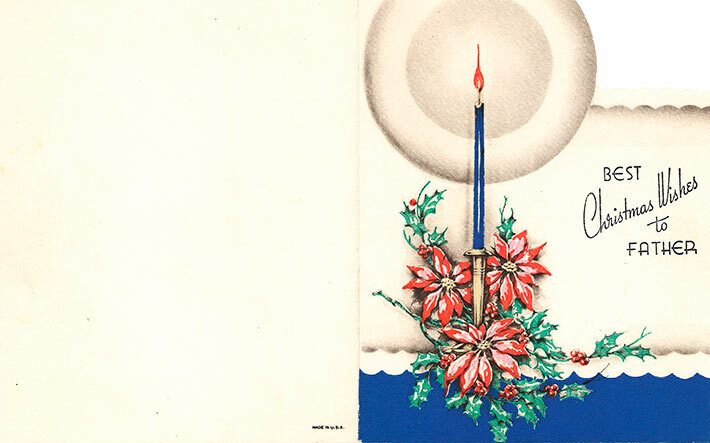 Christmas card and envelope, sent by family to internee Giuseppe Costantini at Petawawa Internment Camp, December 21, 1940. The card and envelope both bear stamps indicated they have been reviewed by the censor. Receiving mail was an important occasion for internees. For most, letters were the only contact they had with family. Giuseppe Costantini was interned for just under 8 months.